Following calls for anti-government protests at the Serbian private TV Pink offices, the European and International Federation of Journalists (EFJ and IFJ) today joined their Serbian affiliates NUNS, UNS and SINOS in urging protesters to refrain from all forms of violence against journalists and appealing to all stakeholders to ensure journalists’ safety and the protection of the media’s property. 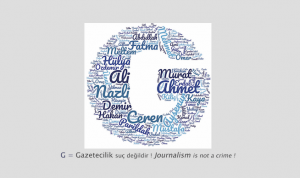 In statement signed by eight media organisation, including three IFJ and EFJ affiliates NUNS, UNS and SINOS said that citizens have the right to express their dissatisfaction with the social or political situation in the country through peaceful actions, including protests in front of any media building, if they are dissatisfied with them. * However, they strongly condemned any form of violence, verbal or physical, which is unacceptable in democratic societies. The EFJ and IFJ fully support the call and have appealed to all involved in the protests to avoid any attacks on the journalists. The two organisations, in particular, appealed to security forces to adopt a zero tolerance to violence at the protests by providing protection to all journalists, including Pink TV media staff as well as journalists covering the demonstration. 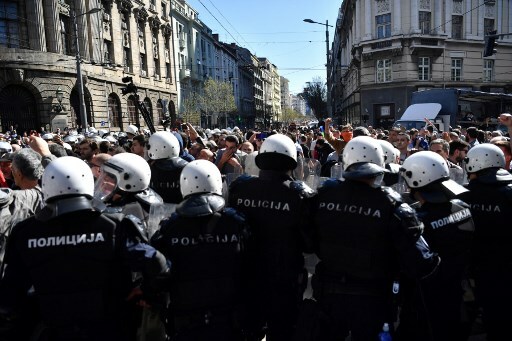 Protests, threats and attacks against Serbian media are alarmingly on the rise. On Saturday 16 March, a group of protesters stormed the national broadcaster RTS’s offices and N1 TV, a private broadcaster, is facing a targetedcampaign of pressure and threats by state officials. 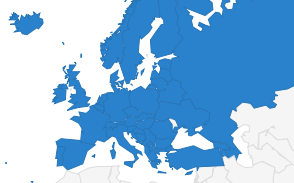 The EFJ and IFJ are aware of reports about harassment and threats to other Serbian media. Both the EFJ and IFJ have repeatedly condemned the attacks and urged authorities and the opposition leaders to stop harassing, insulting and attacking media whose coverage they dislike. 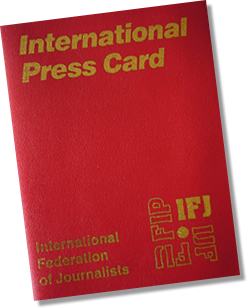 The IFJ and EFJ reminded all parties in Serbia of a resolution unanimously adopted in 2014 the UN Human Rights Council a Resolution on the protection and promotion of human rights during peaceful protests in which countries are urged to pay particular attention to the safety of journalists and media workers covering peaceful protests, taking into account their specific role, exposure and vulnerability.